ACOL Roof Windows are pleased to announce an exciting new range of roof window products for the Australian market. Australian owned and Australian made, our unique design and comprehensive range of options ensure that ACOL is the best choice you can make for your new home or renovation. All ACOL window frames are fabricated from Powdercoated, High Strength Aluminium - not painted timber. This ensures a superior long-lasting product, without the need for painting and other maintenance. Our frames will not crack or ROT!! 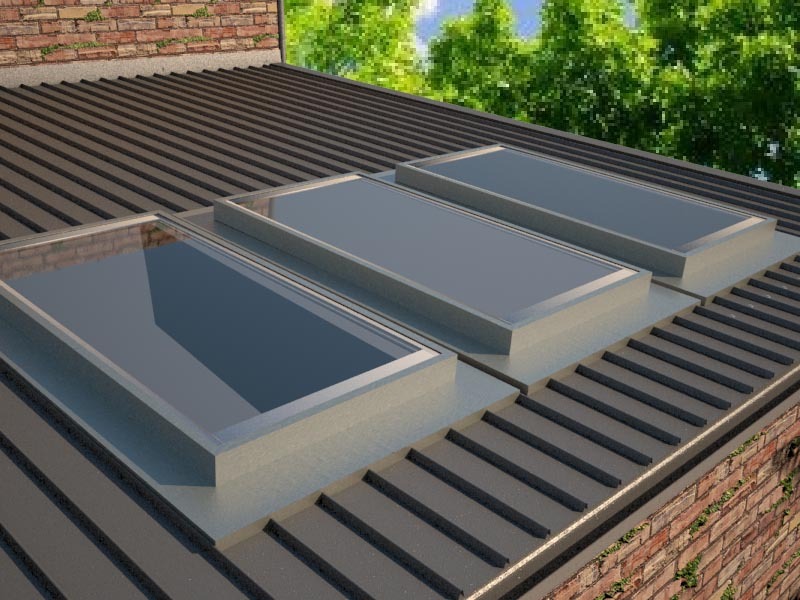 ACOL Roof Windows can be installed to roofs with a pitch as low as 2 degrees without the need to raise the window on an elevated parapet. This helps to keep your installation costs to a minimum. All Windows are fabricated with a one piece roof-specific soaker tray (Tile, Deck, Corrugated, etc) to ensure a weather proof and durable finish. 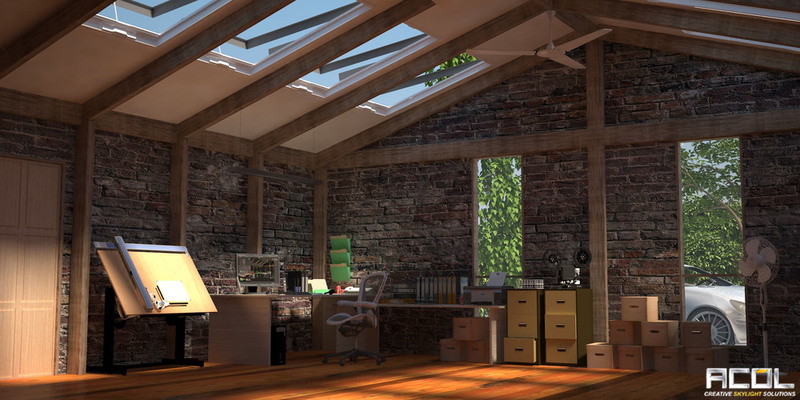 The one-piece roof assembly means easy installation, with no time wasted building the window yourself. The Roof Window’s unique awning profile is ideally shaped to shed rain, ice and snow, even when partially open. As standard, ACOL Roof Windows are glazed with Viridian SmartGlass™, a hardcoat Low E coating which provides exceptional solar control and insulation for your windows. Alternatively, we can supply a full range of other glazing options including double glazed and translucent glasses if required. For the benefit of our customers all our opening windows are supplied standard with a fitted flyscreen and a sturdy chain operator for simple and trouble free function. We also offer a unique combination solar blind/shade screen option on all standard size windows, which is one of the most exciting new roof window features on the Australian market. Not only is the high quality blind fully retractable but the flyscreen can also be retracted to provide the viewer with a clean and uninterrupted view of the outside world whenever you desire. Don’t forget the ACOL Roof Window PLUS is all about choice. Options available include motorised RF remote opening mechanisms or manual extension rod & hook kits for out of reach windows. Solar Blockout blinds, rain sensors, and Colorbond® colours are also available. Just nominate your required finish.